Despite its shortcomings, the program has had considerable success and thousands of entrepreneurs around the world have used their E-residency to set up and maintain companies in the Baltic nation. Likewise, Estonia has also been at the forefront in regards to the regulation of blockchain and cryptocurrency businesses. In fact, Estonia is the first country in the world to store its health records on the blockchain. Moreover, a few months ago there were speculations of a national cryptocurrency ICO, ESTCoin, plans that were later denied by the government. 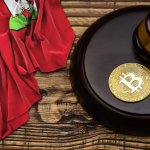 Estonia has enacted legislation that provides specific licenses for fintech companies, specifically, cryptocurrency exchanges and wallet services. Being one of the few countries where the activity of Exchanges is regulated, we commonly receive inquiries from clients about whether Estonia is the appropriate jurisdiction to establish their business. The short answer is, it depends. Estonia is not for everyone and there are certain factors that one should keep in mind before deciding to establish their Exchange in Estonia. 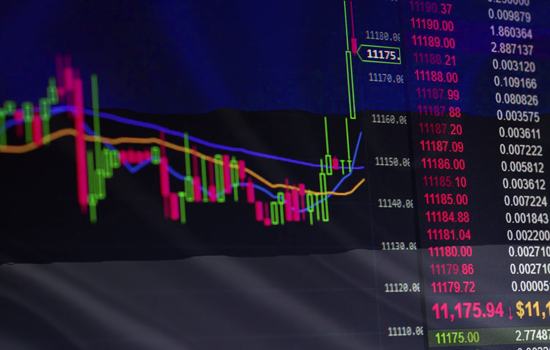 Virtual Currency Exchange Service License, which authorizes business to offer crypto to crypto or crypto to fiat trading. 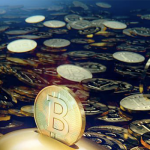 Virtual Currency Wallet Service, which authorizes to provide funds custody services, when the company generates keys for Clients or keeps Clients’ encrypted keys. All companies that operate a centralized Exchange from Estonia (either incorporated in Estonia or through a branch office of an incorporated company elsewhere) require both licenses. Both applications can be made simultaneously and remotely and must be submitted to the Register of Economic Activities in Estonia. Usually, the approval or rejection takes one month after submission. Applicants must submit an application together with identity documents and background of the promoters and a description of the business plan and activities. At the end of the day, what the regulator cares about most are the money laundering and terrorist financing risks so special emphasis should be placed on the AML internal security measures and the rules of procedure which should include policies, processes and systems for the assessment and management of terrorist financing and money laundering risks, collection and maintenance of statutory records, performance of the notification obligations, internal control rules for checking adherence, identifying lower and higher risk transactions, due diligence/KYC policy and procedures, requirements and instructions for the compliance staff. The Exchange must designate a board member as the compliance officer for the performance of KYC/AML duties and obligations. This person should be a qualified specialist and will have direct contact with the regulator for monitoring the application of the KYC policies. Shareholders, directors, authorized persons and beneficiaries must also submit a certificate of non-criminal records. This also includes corporate beneficiaries and it is especially important because said certificates can be cumbersome to obtain, and in some cases impossible, in the case of offshore companies. There are no additional share capital requirements to obtain a license for an Exchange in Estonia, other than the standard 2,500 euro required for all companies. After obtaining the license, the company will be considered a financial institution. However, it will not be subject to additional reporting requirements and from a tax perspective, it will be treated like any other company. However, the FIU may make assessment inquiries from time to time. Estonia offers an interesting environment for the development of financial technology businesses and the possibility of operating a crypto Exchange with regulatory certainty and the authority to carry out its activity. In comparison with other countries, Estonia is one of the most affordable and fastest to get going. The total cost of obtaining an E-Money/PSP provider license in jurisdictions such as Switzerland, Luxembourg or Liechtenstein can amount to several hundred thousand dollars and higher capital requirements. Not only that but Estonian business operational costs are considerably lower than the aforementioned jurisdictions. In addition, Estonia is part of the EU and the gateway to a market of more than 500 million people. Incorporating a Private Limited company in Estonia is simple, quick and can be done remotely. Only one shareholder and one director are required and can be individuals or legal entities, residents or non-residents. If the promoters have the e-residency card the incorporation can be done in just 1 day. They will only require a registered office provided by a corporate service provider. The Estonian corporation tax is simple and straightforward – no tax on undistributed profits and 20% tax on dividends distributed. In addition, the tax on distributed dividends may be reduced by 14% if the amount distributed is less than or equal to the amount of the taxed dividends paid during the previous three years. In the case of distributions taxed at 14%, an additional withholding tax of 7%, 5% or 0% may apply depending on the place of residence of the shareholders. With regard to crypto taxation, it could be considered alternative forms of payment and therefore may not be subject to VAT, however, it would depend on the purpose and type of crypto. Obtaining Virtual Currency Exchange and Virtual Currency Wallet licenses authorizes you to operate a crypto Exchange supporting fiat currencies. The problem arises when it comes to finding a bank to open an account. To get the license you do not need a bank account, but you do need it to carry out the business operations normally. Banks in Estonia are still reluctant to open bank accounts for crypto businesses. Currently, only one bank is open to working with these businesses but it is considerably selective and the decision to open the account or not is made at the board level. If your Exchange is not operated from Estonia, meaning having the office and the mind and management in Estonia, it is likely that you will not be able to open a bank account in Estonia, not even in the aforementioned crypto-friendly bank. Also, even if your business is 100% operated from the Baltic country you will have to demonstrate a very solid business model, a robust KYC/AML process and system in place and a proven background to open a bank account. If your application for a bank account in Estonia is denied, there are alternatives elsewhere. For instance, in Lithuania, Czech Republic, Slovenia or Slovakia, among others, there are banks willing to work with crypto & blockchain businesses. Depending on the officers and shareholders’ tax residency, and if there are tax treaties in force between both countries, the tax burden can be also considered. Also, keep in mind that Estonia has a social tax up to 33% applied to employee salaries. What about ICOs in Estonia? Contrary to what many think, in Estonia, there is no specific regulation for ICOs. ICOs that issue securities tokens will be subject to the Securities Market Act. According to the FSA (Financial Services Authorities) the tokens whose owners expect future profits, or tokens which guarantee certain rights, are acquired for an investment purpose or are freely transferable and tradeable on the capital market and could be deemed as securities. Token offerings related to tokenized funds may be also subject to the Investment Funds Act and debt-backed tokens may need a Credit Institution authorization under the Credit Institution Act. Payment tokens will be deemed an alternative means of payment and its issues must adhere to the Money Laundering and Terrorist Financing Prevention Act. ICOs that issue utility tokens must adhere to consumer protection rules, specifically to the Advertising Act, for which the promotion of the product or service must be in line with its characteristics and the Law of Obligations Act that establishes the contractual conditions and obligations to which tokens that offer access to a product must adhere. As always, although there are no specific regulations for ICOs, depending on the ICO structure and its purpose, there are certain regulations that must be taken into account. Failure to adhere to them may entail criminal penalties. Estonia is one of the most advanced countries in terms of blockchain and crypto regulations and a feasible alternative for cryptocurrency exchanges that want to be regulated and do not have a large budget. That being said, if you do not have any connection with Estonia or the EU and do not have plans to physically establish your company there, it may not be the best solution and you may face hard times to find banking. There may be more suitable solutions. Whether you want to establish an ICO or an Exchange in Estonia or elsewhere, at Flag Theory we help you design a robust corporate structure and select the best jurisdictions to establish it according to your unique business and personal circumstances. Contact us, it will be a pleasure to assist you.